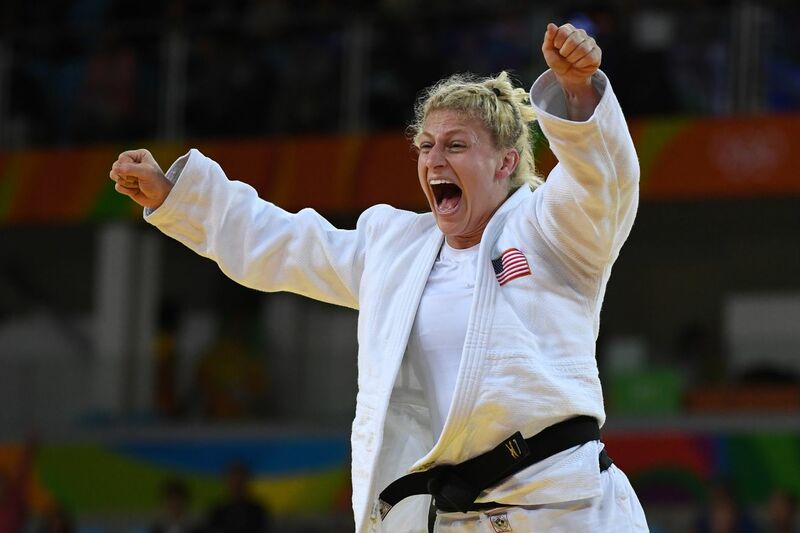 Kayla Harrison defeated Audrey Tcheumeo of France via armbar to defend her Olympic gold medal in the women’s 78kg judo competition earlier this week in Rio de Janeiro, Brazil. Harrison is a former Judo training partner of former Ultimate Fighting Championship (UFC) women’s Bantamweight champion, Ronda Rousey, who won a bronze medal at the 2008 Olympic games in Beijing, China. The connection to one of the sport’s most iconic superstars, therefore, makes it impossible for Harrison to avoid questions about a possible future in MMA once she decides to tie a ribbon around her international Judo career. And it doesn’t seem like she’s quite ready to make the leap just yet. Perhaps she has watched a few too many Rousey fights and not many others, because — more often than not — sportsmanship is alive and well inside the Octagon after the conclusion of each fight. Rousey, on the other hand, has a history of ensuring her opponents “earn” a post-fight handshake.